Alexey Markelov, MD is an aesthetic plastic and reconstructive surgeon and a facial rejuvenation and body-contouring specialist. Through his extensive training with global leaders and innovators within the field of plastic surgery, Dr. Markelov has attained surgical skills in all aspects of facial surgery, breast surgery and body sculpting. His emphasis on patient care and meticulous attention to detail has earned him the trust and respect of his patients and colleagues. Dr. Markelov adheres to the highest patient safety standards and combines surgical precision to help his patients look their best. He utilizes a wide variety of modern techniques for full body restoration, reshaping and rejuvenation. Dr. Markelov will recommend the most appropriate cosmetic or reconstructive procedures to achieve the best possible results based on individual needs. 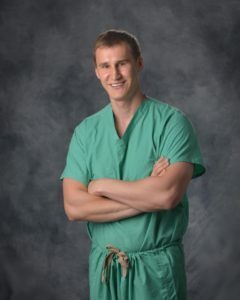 Dr. Markelov completed his plastic surgery training at the University of Pittsburgh Medical Center, one of the top plastic surgery programs in the country. Prior to plastic surgery, he completed full general surgery training at Easton Hospital, Drexel University College of Medicine. Dr. Markelov is a diplomate of the American Board of Surgery. Dr. Markelov is a recipient of the Arnold P. Gold Foundation Award for Humanism and Excellence in Teaching and the Golden Apple Teaching Award from Drexel University College of Medicine. His superb patient care was also recognized by the 2012 Patients’ Choice Award. Dr. Markelov currently holds a Clinical Assistant Professor position at Ohio State University School of Medicine. He has published extensively on various topics in plastic and general surgery. Dr. Markelov has completed more than 50 scientific publications and has delivered presentations at regional, national and international meetings. 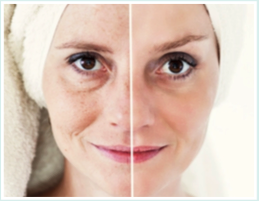 Dr. Markelov is known for his attention to detail and for achieving naturally beautiful results with both surgical and non-surgical techniques. He tailors his surgical techniques to the very specific desires of each individual patient. Dr. Markelov provides excellent patient care throughout all stages of treatment. He takes pride in spending the necessary amount of time with his patients to ensure his practice provides them with optimal individualized care.